So on the advise of the lovely Donna over at What The Redhead Said I decided to write a post on the blogs I love. 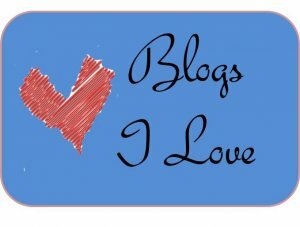 Below are a list of just a few of the blogs that I love to read. Pop over and have a little look for yourselves. Mama Geek – Zoe Corkhill was one of my best friends at high school. She writes about life with her two daughters, Georgie and Lydia, husband James, and lazy dog Homily, will bits of geekiness thrown in for good measure. (Zoe is also an awesome web designer, “creating functional and beautiful WordPress sites for bloggers and businesses” over at Zoe Corkhill. She helped me move across from Blogger to WordPress which I am eternally grateful for! Write Like Nobodies Watching – Charlotte is mum to Bill, l and Daisy who was born just a week or so before Isla was. Charlotte hasn’t had it easy since Daisy was born, but she keeps going, and is a real inspiration! I love reading Charlotte’s blogs, as she says things how they are! Little Baby Garvin – I stumbled upon this blog while looking for another one. Jessica is a US blogger to 3 gorgeous girlies! She kept a record of her pregnancies with amazing chalkboard art work, which put my sporadic posts to shame! Jessica blogs about life with her girls and husband, as well as their recent move to a beautiful house I drool over! Little Bab – This blog is by my wonderful friend Kat. We’ve known each other all my life(our parents met at NCT classes nearly 35 years ago and are still friends now!) Kat blogs about life with my gorgeous fairy god-daughter, mental health as well as the odd short story and poem. The Oliver’s Madhouse – Jaime is a self-confessed pushchair addict, and writes about her weight loss journey and her lovely 2 boys. Reviewing baby and kids toys and products, and blogging about family holidays and days out. It’s a wonderful read. Ghostwritermummy – Susanne blogs honestly about birth trauma, something so rarely acknowledged and talked about. Susanne also writes about parenting and has some great posts from when she was pregnant. So what are your favourite blogs? I’d love to find some new ones to read! Or leave me a link to your own blog!